The AngleCan SIMPLEX TechTree is divided into five branches, each with two strands. Requires Module Manager (not included). All nodes are based on Stock, and around half the parts have been moved for balance. Making History is supported. Additional mods will be supported over time. It is possible to play non-crewed before crew (unmanned before manned). This mod includes also includes an Engine reconfigure to make it a little more difficult to launch from Kerbin (and any atmosphere). This is within its own cfg file and can be removed. The purpose of this minor reconfigure with Stock engine parts is to make it more likely to need a two or three stage rocket to achieve orbit. Vacuum thrust and ISP have not been adjusted, so all craft designed for vacuum will not be affected. Moved scienceTech node to align with probes. Tier 7 - 1000 Science - Future proofing! the Node Hiding mod apparently is causing issues. I'm still looking into it you shouldn't need it as the only nodes that are missing something at the end of branches anyway! Sounds interesting. Thanks for the release. @theJesuit Well this has gotten my attention. I helped myself and peeked through the configs and spotted a major issue. The use of :FOR in the SimplexISRU....cfg. This command does 2 things, not just 1. It allows patches to run as part of the sequence of a specific mod (in your case, run during Kerbalism's runtime). Everyone knows this part. But it also announces the presence of the specified mod. Patches in other mods that are waiting for Kerbalism will run (MM will think it is there when it is not). And that will cause conflicts that no one is expecting. :FOR should not be used if the specified mod is not yours or is not the main part of your download. Great to know thanks! I'll look at again tonight and clean it up. I'll update both this separate tech tree and the Kerbalism profile. Does this mean that you're working on mod support, or that it's already there? As major mods, currently I plan to add Near future, Keriden Dynamics; SSPX, Tokamak; KER kOS, and a number of small parts and enhancements such as Vens additional bits and pieces, KKPBS which I used to use a lot, but less so more recently Dock Rotate. Hi all. An update with some mod support will occur this evening. The engine reconfigure will be separated into a separated cfg so that it can be more easily removed if people want. Also, I've been wondering whether to implement some small twig branches which would be for part upgrades. These would cost a small amount of science but would add back some of the reconfigure amount, lessen dry mass of tanks, add functionality to probes etc. Solar cells, batteries. This wouldn't be implemented for a while though. And it would be a choice to either save your Science Points for the next tier or spend a little to make a certain tech a little better. The current logic to play through would not be altered. Let me know what you think! Also, I'm keen to know how people are finding the balance and which mods you want me to push support for. HullCamVDS (not actually present but all parts are in a great location already! I haven't gotten around to playing this yet, so I have to ask: what node are fairings in? I've always felt they were unlocked unreasonably late in Stock. Hi - good question. Yes, with Simplex the fairings are available much sooner I think. The 1.25m fairing is in General Construction (the node that looks like the launch clamp). the 2.5m fairing is in specialised construction (the node with four blocks and arrows). The 3.75m is available in composites (the node with the three layered panels). However, now that you are pointing it out I have realised that my logic with tank sizes means that I put the 5m fairing for Making History in Composites too to match the 5m tanks. So I expect when I update this (probably now sooner rather than later ) I'll move it. This won't be game breaking if anyone has it installed, just moving one part earlier in the tree. Update to version 1.2 includes some minor updates as listed in the OP. Like the clean crisp design, though I think a few more nodes would be nice. Especially for separate command pods and probe cores. Dividing into sovjet and american parts would be nice as well, but not suitable for this mod. Would you put command pods and probe cores in the same branch? I did consider this, but wanted to keep a reasonable separation of crewed vs. non crewed - hence why the probe cores are in the same branch as the antennae and relays. Ideally I'd put MK1,2,3 tanks elsewhere, but so far I've only used the stock nodes, including the two stock ones that are unused. If CTT's nodes are unique, then I may release an extended version? With a sixth major 'tanks' branch for the cylinderical and Mk spaceplane forms. This would then mean spliting up the engineering construction branch, as when adding in the Near Future and SSPX mods it tends to fill up. I'd also like to have a third mini crewed branch for longer term habitation, so greenhouses and station parts (including the hitchhiker). There are no current plans for this unless people are keen. I do need to update anyway - maybe this evening. I've sorted support for IFILS and it's specialist nodes, Near Future Construction, Solar and Spacecraft, SSPX, kOS and KER and some others for their parts (which I think I use them partless anyway) and also Kerbalism which I think is missing in 1.2. Currently I'm working my way through a playthrough with Kerbalism SIMPLEX on a 50% science career save (100% funds), with Minmus moved to Eeloo via Kopernicus. This is ostensibly to balance out the NF and SSPX but also to check that a flyby of Duna and Eve with the Kerbalism transmissible science (only radiation senor, barometer and thermometer), with a half dozen Mün probe landings including the seismic sensor will lead to a Apollo style Mün landing. I should really put this in a mission report log as well. Of course in Earth History, Apollo 11 happened after Mars and Eve flybys I think it will work with only 9 or 10 mun biomes visited - all the near ones I think. I would put some simple RCS thrusters and tanks infront of the reaction wheels, if you want have it more historical progression wise. Also the 1.25m fairing I would love to see a node earlier. At the moment I am failing to get to space with just the Stayputnik pobe. Mods I play with atm are mostly Sounding Rockets, Firespitter (both come pretty nicely with your tech tree), Kerbalism and some visual mods. Research bodies and outer planet mod are fine as well. Scansat and FASA launch clamps seems to work. I tried the CTT once, but didn't come along with it...I want my probes before pods. At least to be first in space with probes. What's the new Delta v requirement to reach orbit? I love this! Works especially well with Sounding Rockets! MUCH more sensible and useful than the Community Tech Tree. I'm not sure the engine nerf is warranted without the extra nodes being available yet. What seems to be the case, though, is that the Engine Nerf does NOT play well with DMagic DeltaV. It displays the same TWR as without the nerf, even though it's rather obviously a much much lower TWR . Sorry for the delay. No delta vee requirements have changed, just the engines are less powerful lower in the atmosphere. So little time for playing or coding... but now Kerbalism has updated with significantly changed figures I've more of a mind to update finally. I'm not sure if this is because of this tech tree or something else, but I already got Procedural Fairing bases, but no sides ... which does not make sense. When bases are available, then also sides should be available. If you could help out and make them appear together, this would be great. The minimum and maximum sizes are applied by GameData\ProceduralFairings\Config\PF_Settings_Config.cfg itself, so this should not be touched. ArgumentException: An element with the same key already exists in the dictionary. Hi @Gordon Dry I haven't had a chance to fire up ksp in a while and probably not this week either. For the procedural fairing issue are the sides appearing in a sandbox game? Also with the ctt and hide node issue? You probably don't need hide node as I think only two end nodes have nothing in them. However it may be that hide node is ex pectin something from ctt. Does hide node have that exception with a fresh save? So place with the bases then? Are the bases in the right place do you think. Any other moves for this mod - I don't normally play with it. Updated to 1.3. Also, I'm not available for the next week, but please leave issues here. The Hiding Node mod issue is still being worked on, as well as the Procedural Fairing upgrades. 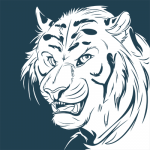 Delete AngleCan folder and when installing as file names have been changed. AngleCan Simplex with kerbalism profile and stuff is updated today as well. I've been using the Unmanned Before Manned tech tree for years. 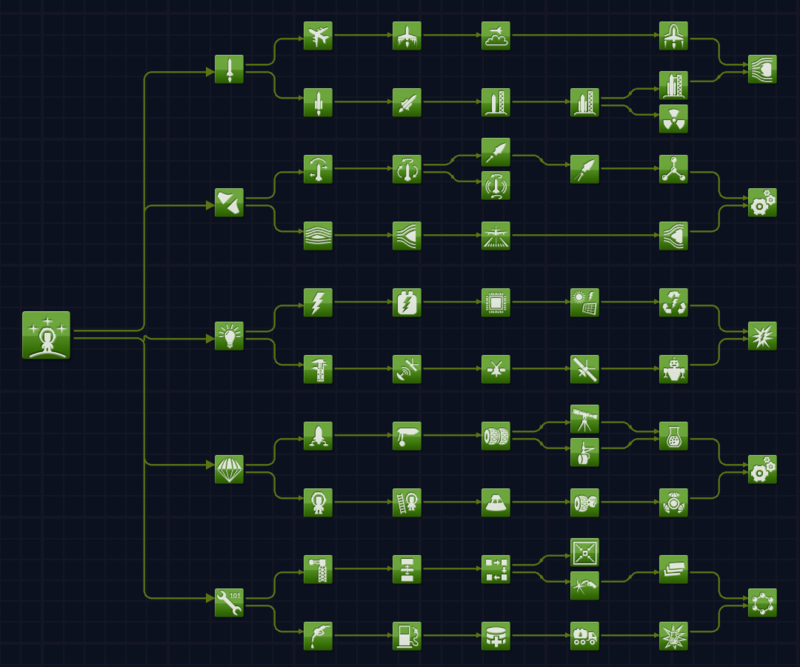 My current save uses the Unmanned Tech tree by @Oneiros. Both of those use the Stock tech tree structure as their base, and I've gotten very used to where things are. This, however, this I really like. It is almost exhilarating to think of a tree that I don't know where a lot of the parts are - real tech exploration again. I really like this idea. Any plan to have an extended version with the Community Tech Tree nodes included for more mod parts?